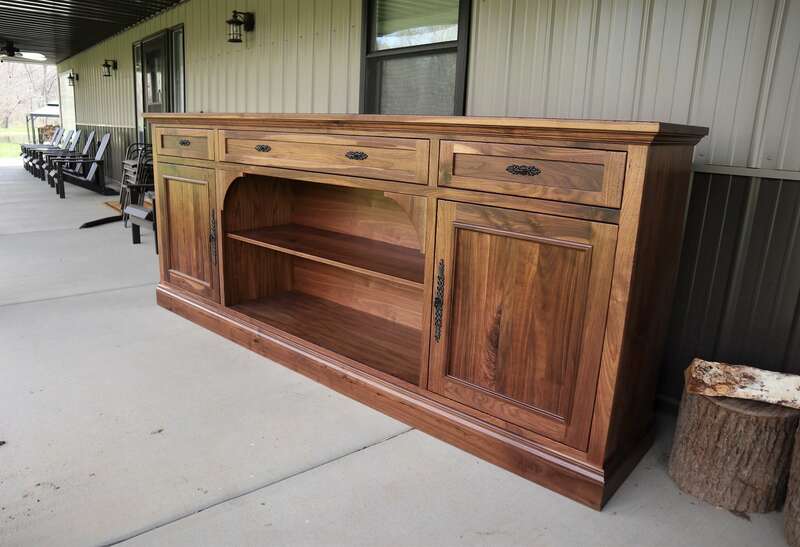 Have you ever explored our “Other Furniture” tab on our website? What you may or may not know is that, despite our focus on building custom tables, we also offer other home furnishings. We work with, primarily, two different furniture shops that have the same core values we do. From hutches and buffets, to chairs, these shops make all-American pieces in sturdy wood for customers like you who are looking for furniture that will last and stay beautiful as time goes on. 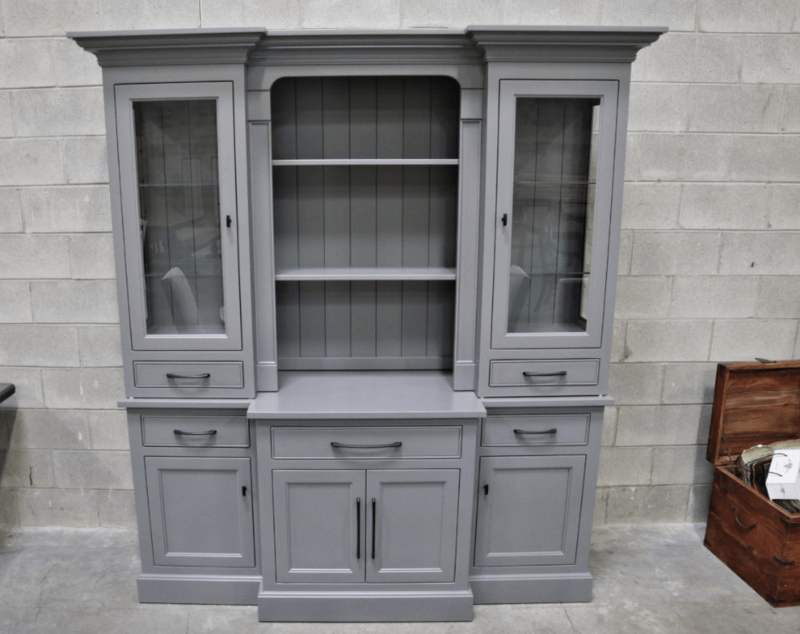 If you stop in to our showroom, or head over to the “Hutches and Buffets” section under that “Other Furniture” tab, you will be able to browse freely. If nothing is catching your eye from there, there are other styles available, along with customization of most any piece. We have a great partnership and together, we will give you one-of-a-kind furniture that will make you proud to show off. Continue on to learn more about what is offered and some information on each business. It was a no-brainer that if we were going to make tables, we would need to find chairs for our customers. What is a table without some sort of seating arrangement? Enter F&N Woodworking. 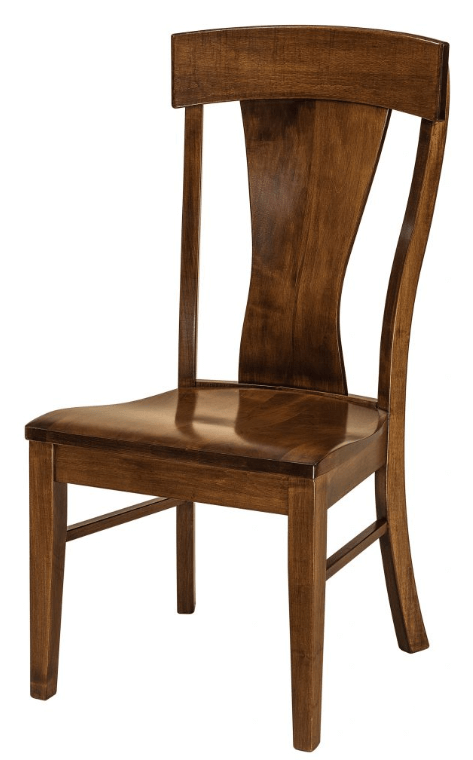 Located in Indiana, F&N is a self-proclaimed “innovator of hardwood chair design.” They were formed in 1995 by Freeman Miller and, to this day, are family owned and operated. They are big on three different characteristics when it comes to the chairs they build: style, comfort and quality. Three key tools that are important to us as well when working with clients on their custom table. We knew we could expect great work from the crew at F&N and they have far exceeded our expectations. Their chairs complement our tables and we are proud to offer this option to customers. Take a look at their catalog and you will see firsthand why we chose them. All chairs are built to order, so wood, color and/or fabric selection is customizable. Early on, we recognized our customers’ desire to completely furnish their space in a sort of “one stop shop.” We offer custom tables and now chairs, all that was left was furniture to complete the room. We got in touch with Townline Furniture and the rest is history. The shop is located in (yep, you guessed it) Indiana. We were blown away when we first laid eyes on their work. Their hand-crafted furniture ranges from hutches to wine racks to buffets in 11 different hardwoods, 22 stains, 13 glass panel options and seven different edge profiles to choose from. If you are keeping track, that is thousands of different customizations one can decide from for their home. Knowing that Townline respects a customer’s choice of detail, there was no way we were not going to work with them. Did we also mention they have been doing this since 1978? Most all pieces are customizable in terms of wood, size, layout etc. We have even done full on one-off pieces that started with a sketch and transformed into a beautiful piece that brought our customer’s room together. From day one, we set out to build custom tables. Being that we wanted to maintain strict focus on these tables to bring customers the best of the best, we turned to the aforementioned businesses to match our level of work and bring to life our customer’s vision. The next time you stop in, feel free to peruse our buffets, hutches and chairs we have out on the showroom floor. We stand behind these products as if they are our own. Hopefully we can fill your room with amazing furniture! Drop us a line through our Contact Us page and we can help you get started.